This is a guest blog post by Phil Vallender, director at Blend Marketing. Modern marketing is too complex to be described in marketing plans, slide decks, and written briefs. These days, you've got to get visual to succeed. Marketing technology has exploded, and marketers are now expected to be technologists who can harness the powers of marketing automation, CRM, analytics, and many other tools in the pursuit of growth. The rise of all this technology has transformed marketing forever. Marketing no longer takes place in discrete moments or isolated campaigns. Marketing is an interconnected, always-on machine that operates around the clock. Each new initiative, hopefully, adds to the lead generation capacity of the whole. Now every time you put something new in place, you have to understand the workings of everything that has gone before, or you risk bringing it all crashing down around you. While written documents can capture the complexities of your marketing system, they cannot communicate them. They are difficult to understand and interpret, ultimately preventing effective decision making at the speed demanded by modern marketing. Relying on traditional methods of documenting and communicating your marketing machine can be damaging, if not disastrous, as stakeholders fail to get behind the right initiatives and team members act with only some of the information they need. The likely result is data quality problems, which undermine segmentation, automated marketing, and sales alignment—all of which are central to successful growth marketing. The saying goes 'a picture is worth a thousand words.' This is never truer than when trying to communicate the new marketing. If you want to create a robust marketing infrastructure and win the stakeholder support you need to effect wider change and to excel in your role, you need to use diagrams to document your marketing systems. A diagram can take the most complex marketing system or process and create a lasting, effective, shared resource. Let’s look at a few examples. When launching a new multi-channel campaign, there are an awful lot of moving parts, and it's easy to overlook something when referring to written campaign plans or presentations. 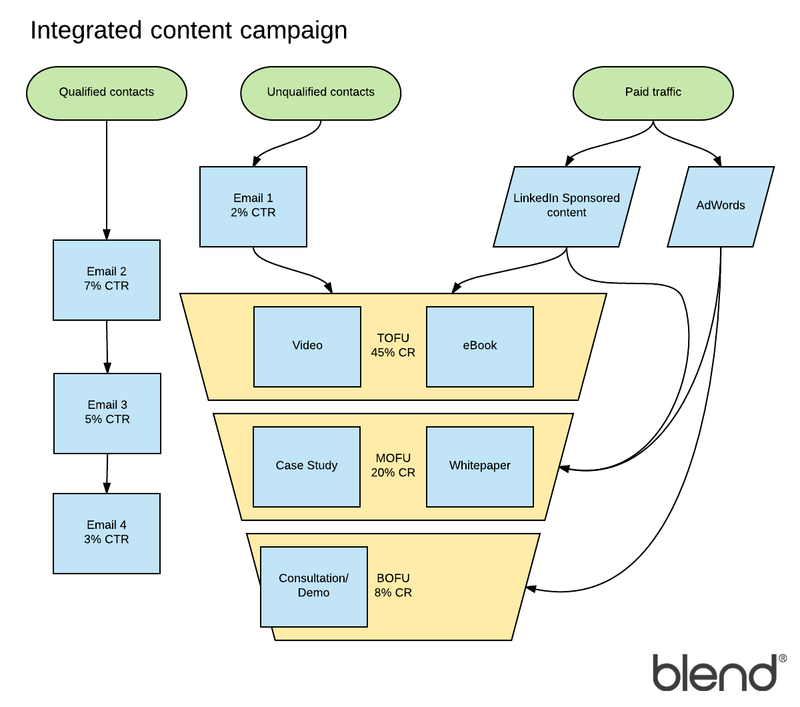 A typical campaign will combine multiple traffic sources, contact segments, landing points, conversion offers, forms, emails, and automated sequences—along with dozens of metrics to measure and targets to set. A diagram of this campaign can capture and convey all of this information on a single page, whereas documenting everything would take up many and fail to communicate it effectively. If, like 71% of other businesses, you are using some form of marketing automation, new leads that you generate will be enrolled in one or more automated workflows - sequences of predetermined actions and emails. Some of these will likely be aimed at nurturing new leads with relevant content and messages over a period of time. Given the importance of personalization and relevance, your nurturing workflows probably have complex enrollment criteria with multiple variations of the actions within and layers of logic to make it all work. As these workflows grow in number and age, holding on to the information about how they all work and interoperate gets harder and harder. Explaining them to others is even harder. Enabling other to make decisions in your absence, even harder still. Unless you diagram them. 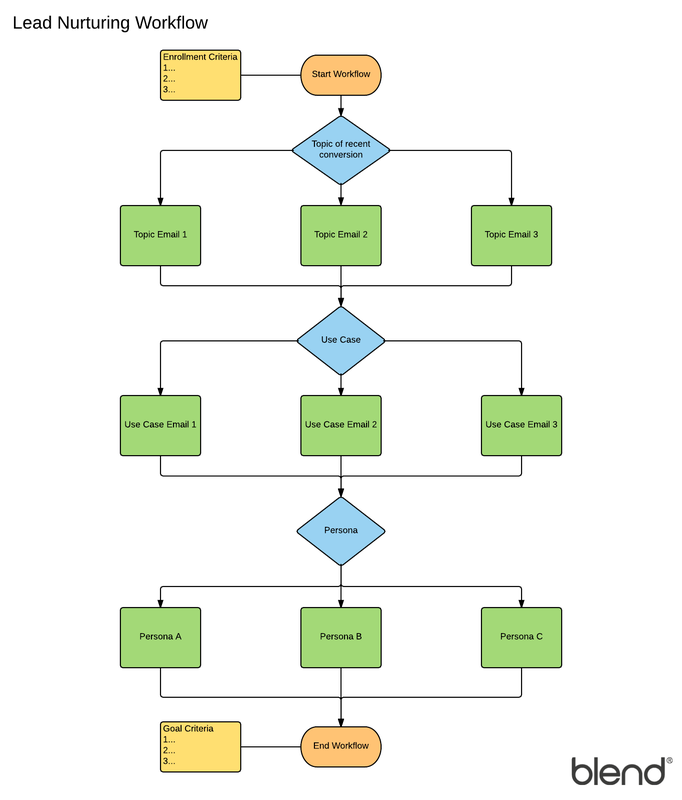 Flow diagrams, showing the starting conditions, the actions, the decisions, and the outcomes that make up your workflows, will solve all these problems and more. Data-driven marketing relies on data integrity. This integrity can be challenged when systems become integrated,transitions become automated , and multiple sources become able to change key fields, both as the result of visible manual actions and invisible automated ones. Given that sales and marketing need to be able to trust properties like these so that contacts can be correctly segmented, it’s vital that these influences and their outcomes are properly understood by all involved. Today, marketers have more to do and less time to do it. The systems they are expected to oversee grow ever more complicated. The traditional methods of planning, documenting, and communicating marketing no longer cut it. To survive and thrive, commit your marketing systems and process to diagrams not documents. 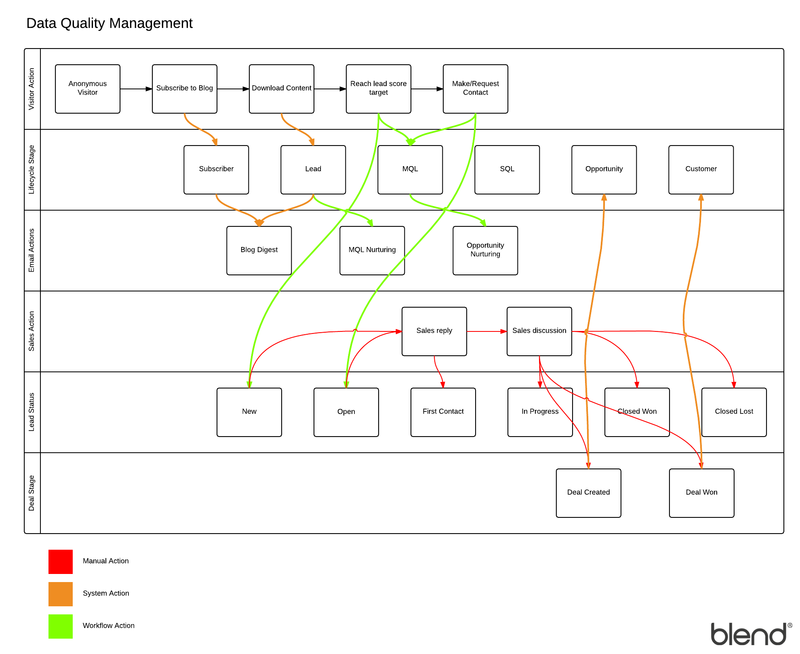 Try using Lucidchart to map out your system or process today.